We have paddocks specially built for the miniature horses for day and will be stabled by night, the stables are situated right by the Farm House. ensuring their stay here at dandy farm is a pleasant one. 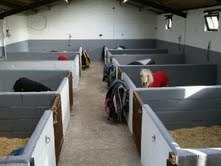 We have a 24 hour veterinary call out and a wonderful Team of specialist Equine Vet. Once we are happy your mare is in foal she will return home with a live foal guarantee certificate. Should your mare fail to produce a live foal we offer a Live foal Guarantee with all Stallion coverings. To safeguard our stallions and your mares. All mares are required to have negative Contagious Equine Meritis tests (CEMO). or owners can do this themselves but must produce a negative CEMO test certificate before your mare is covered.